PLEASE NOTE: This is not the Annual CPD, this is the Exam to qualify you as a Class 5 MOT Tester. 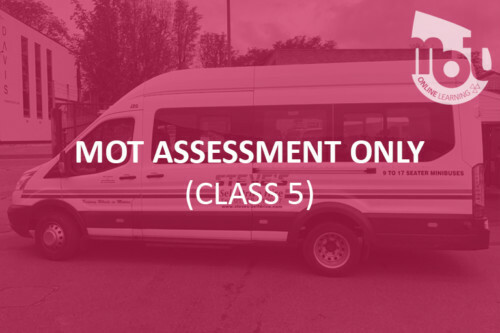 Start Your Class 5 Assessment Now! Click the ‘ADD TO BASKET’ button below! 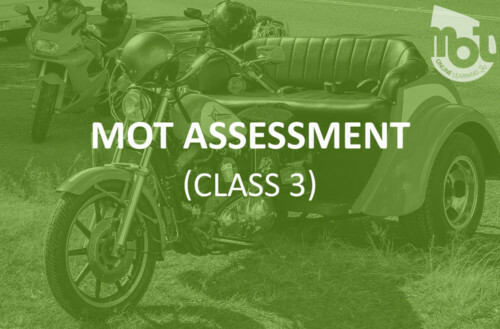 Become a Class 5 Tester! If you haven’t already done training for Class 5, take a look at the online training we offer to get your prepared for this exam, which includes e-learning content, sample questions on each topic and mock exam.